Yeah, this never became a regular feature here - but the photos still make me laugh. 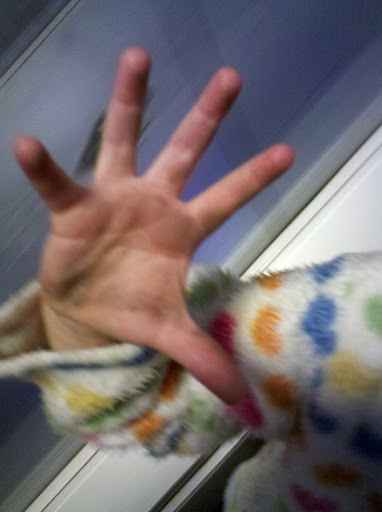 T's little paw after running her hand down the bannister at Gare Saint-Lazare (in her most-favorite, and my least-favorite sweater...I could dedicate a whole article to my efforts trying to get rid of that thing). 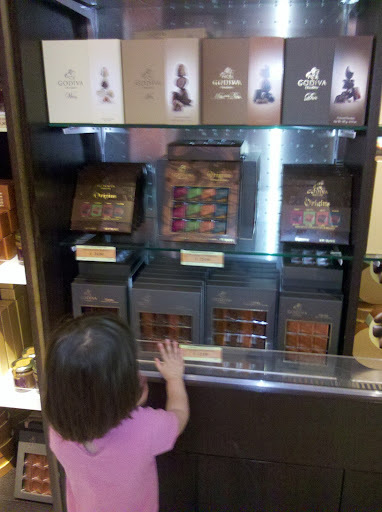 T ogling the Godiva chocolate selection in the Eurostar waiting area. 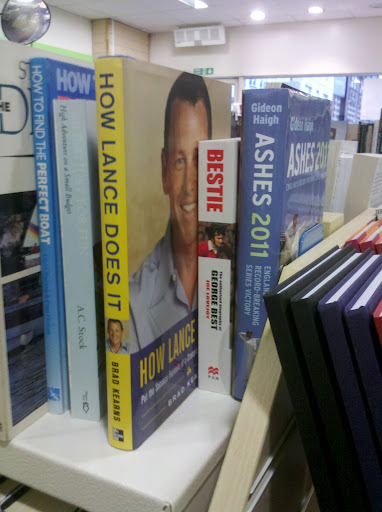 As seen at our local second-hand bookshop. The subtitle is "Put the Success Formula of a Champion into Everything You Do."